"Mike has a very naturalistic voice with great pitch and rhythmic precision." "A fabulous interpreter of any song in any style. A singer of beautiful tone and range and a delight to listen to." "Michael Dore's singing is a tonic for the soul! He is so versatile... he touches your heart one moment and makes you smile the next." Michael began his career as a member of the acclaimed Swingle Singers. Since then, his international career has taken him to concert stages throughout Europe, North America, Asia, the Caribbean and South Africa. 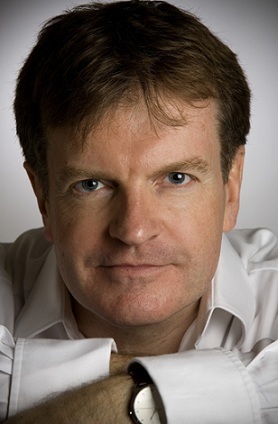 He has performed with many of the world's leading orchestras including the New York and Berlin Philharmonics; Chicago, Boston, St. Louis, Oklahoma, Stavanger, Bangkok & Bochum Symphonies, Orchestre National de Lyon, Norwegian Radio Orchestra, MDR Symphonie (Leipzig), RTE Orchestra (Dublin) & Orchestre Philharmonique de Monte Carlo as well as the Canadian Brass. Theatre roles have included "West Side Story" (Riff) with Sir Simon Rattle & the Birmingham Contemporary Music Group, "Jesus Christ Superstar" (Peter) with the Royal Philharmonic Orchestra, Guys & Dolls (Benny Southstreet) at the Royal Festival Hall, 'Candide' (Maximillian) with the BBC Concert Orchestra, Rupert Brooke in the premiere performances of "Young Apollo" and on the original London cast recording of Sondheim's "Passion" (Lieutenant Barri). He has performed Shakespeare on stage with Dame Judi Dench and his singing duet partners have included Sarah Brightman, Lorna Luft and Nell Bryden. Other appearances have included Kurt Weill's "Seven Deadly Sins" in UK, Spain & Ireland, the "Cathcart Spring Prom" at the Royal Albert Hall, 'Best of the West End' at Hampton Court Festival, along with UK tours of "West End Nights, Broadway Lights" & "Fascinating Rhythms", "Wonderful Town" in Berlin, "The Magic of Broadway" in Scandinavia and "The Music of Andrew Lloyd Webber" at the Chichester Festival. Michael's busy film recording schedule has included soundtracks such as "Shrek 2", 'Pirates of the Caribbean', "Alice in Wonderland", "Harry Potter", "Star Wars" and "Lord of the Rings". He is often featured on BBC Radio 2's 'Friday Night is Music Night' and regularly appears at London's major concert halls, performing semi-classical, Broadway, Jazz and Christmas programmes and intimate Cabaret evenings around the world. He appeared regularly at London's premier cabaret venue 'Pizza on the Park' & recently celebrated 'Love and the Great Singer Songwriters' at The Pheasantry & worked with Adele on her Bond movie track, "Skyfall". On TV, Michael's guest appearances have included Songs of Praise, Blue Peter & Mother Love with Dame Diana Rigg. His work with the Variety Club Children's Charity has included co-hosting & performing for the Iowa Variety Club live Telethon in the USA and his 'Michael Dore Sings the Musicals and More' concert in Johannesburg, South Africa. He has conducted vocal workshops and masterclasses in Europe, South Africa and North America and is in demand as a vocal coach. He worked on Andrew Lloyd Webber's "Any Dream Will Do" series (BBC TV), "Hairspray-the School Musical", "Grease-the School Musical 2" (SKY TV), " Popstars" (ITV) and the "X Factor" . His recordings include 'Simply... Michael Dore', numerous albums for Reader's Digest including "Wish Upon a Star", 4 albums with the BBC Concert Orchestra and 5 albums, including Nigel Hess's "Food of Love", "Best of Broadway" and "The Very Best of Rodgers and Hammerstein" with the Royal Philharmonic Orchestra. He is also featured on Steve Mackey's Grammy award winning "Dreamhouse" & has just recorded Berio's "Sinfonia" for the third time (soon to be released). The previous seasons included guest appearances at the Edinburgh festival and in Sweden & Switzerland and also in the USA with the New World Symphony in Miami & a return engagement with the New York Philharmonic. Some highlights from the 2015 season included performing "Magic of the Musicals" with the BBC Concert Orchestra at the Kings Lynn Festival, "Symphonic Rock" with the Royal Philharmonic Orchestra at the Albert Hall and "Friday Night is Music Night" with the BBC Concert Orchestra. He launched his "Vegas Bound" Cabaret shows at the Crazy Coqs and recorded for "Star Wars - The Force Awakens".